Barbara Jordan was the first African-American female elected to the Texas State Senate and the first African-American elected to any state's senate since the end of Reconstruction, the first black woman to preside over a legislative body - as the president pro tempore of the Texas Senate -, the first black chief executive, the first Southern African-American to be elected the U.S. House of Representatives since the end of Reconstruction, a member of the House Committee to Impeach President Nixon,the first female and the first African-American keynote speaker at the Democratic National Convention (1976), and an inspiration to LGBT Americans - especially for those of color. Her speeches in at the Nixon Impeachment Hearings and the Democratic National Convention rank among the best American speeches of all time (http://www.americanrhetoric.com/top100speechesall.html) and can be accessed from the provided link. In addition to this, it should be noted that if she had not undergone a health decline in the 90's she could have potentially been the first black woman and gay person to serve on the U.S. Supreme Court. 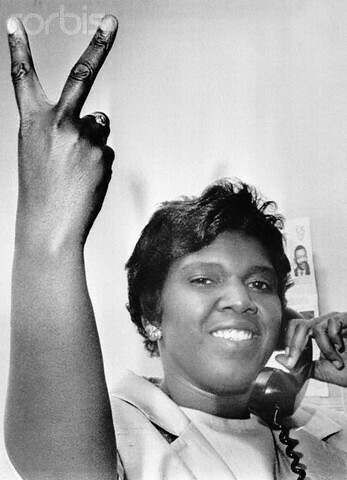 So all of you better respect bae, goals, and so much more, Ms. Barbara Jordan. P.S. : I can't wait until Viola Davis makes and stars in her biopic. The current existing nuclear waste can power the world for 72 years. Fido, Abraham Lincoln's dog, was also assassinated. U.S. President James Garfield could write Greek with one hand and simultaneously write Latin with the other. The United Nations estimates that there are over three million shipwrecks on the ocean floors. Miniskirts are illegal in Uganda. Over the years, Washington wore several sets of false teeth. Even though many people today believe that these teeth were made out of wood, there is no proof that he ever had wooden teeth. His dentures were made of many things. They were often a combination of human teeth, animal teeth, and ivory. About half of knee dislocations spontaneously relocate before someone arrives at the hospital? cats in heat are not fussy of who they mate with- they mate with every tom they possibly can. this actually means that, in the same litter, all kittens can actually have different fathers, resulting in all sorts of cool colour combinations and marks! rats are very intelligent creatures- when keeping pet rats, you need to make sure you give them enough toys so they can occupy themselves and use their brains otherwise they'll get bored and eventually depressed! of course that could be different with gay people! Dwight D. Eisenhower banned squirrels from the White House because they kept digging up holes on his putting green. The chainsaw began as a surgical instrument and was used in symphysiotomy, a procedure done to assist in widening the pelvis for childbirth. There are twice as many suicides as there are homicides in the U.S.